Comprising 38,000 square metres spread over nine floors, the Unilever building provides room for work and office spaces as well as for a public atrium. On a regular weekday, up to 5,000 visitors use the washrooms in the building. 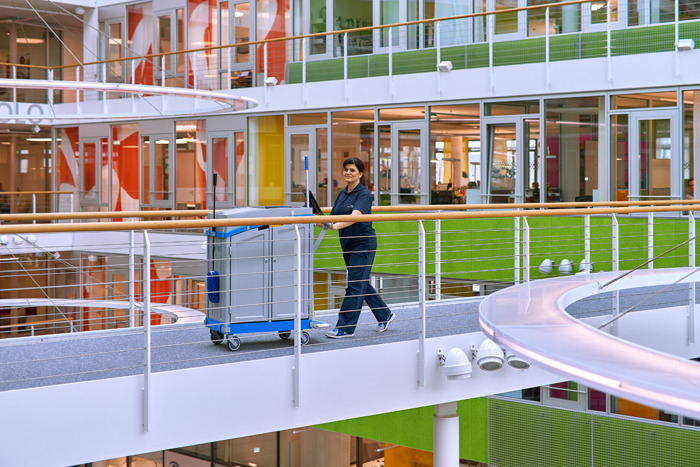 The Facility Services team from Sodexo operates the needs-based system of cleaning management, relying on real-time data provided by Tork EasyCube®. 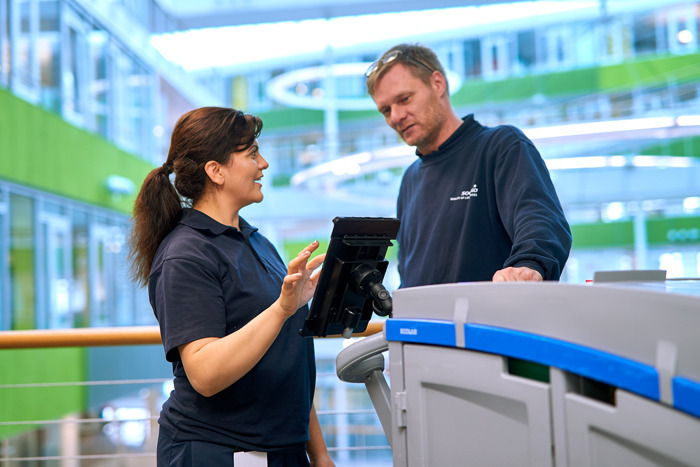 Thanks to the facility management software Tork EasyCube®, Ralf Möller, foreman at Sodexo, and his team receive data-based insights into the actual use of the facility: “The service shows us exactly where we are needed. This means that we no longer need to do anything without there being a purpose behind it,” explains Möller. This has made it possible to switch from static cleaning plans to data-driven cleaning. This saves time and effort that can be invested in other cleaning tasks. 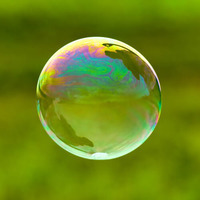 “Our top priority is to ensure that our facilities meet the highest standards for our employees. With Tork EasyCube®, we have achieved this goal and all our other targets, such as on efficiency. 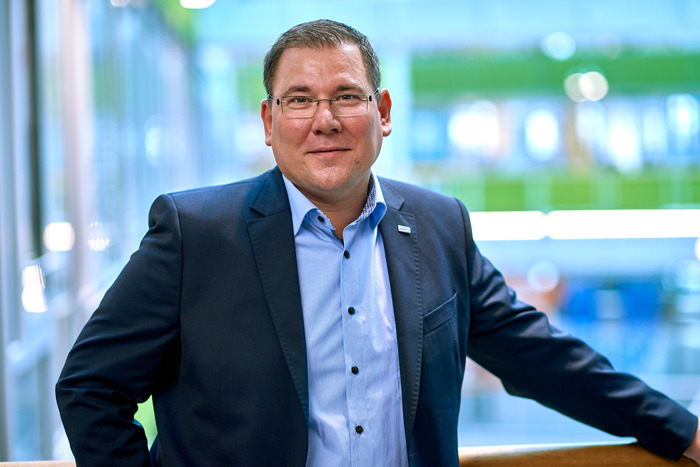 Our expectations were definitely exceeded,” says Rainer Ringler, Workplace Services, Unilever. 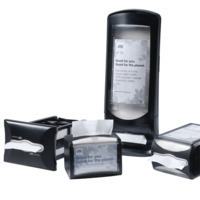 Tork has equipped the facility with dispensers and connected devices using sensor technology. Thanks to digital intelligence, sensors collect data on refill levels and visitor numbers and this information is made available in real-time in a web application. With the help of Tork EasyCube®, the facility management team has increased the availability of soap, hand towels and toilet paper to 100%. “We only get positive feedback on the washrooms and have been able to achieve all the targets set. Thanks to real-time data on cleaning requirements, we can now make our cleaning routes more efficient. 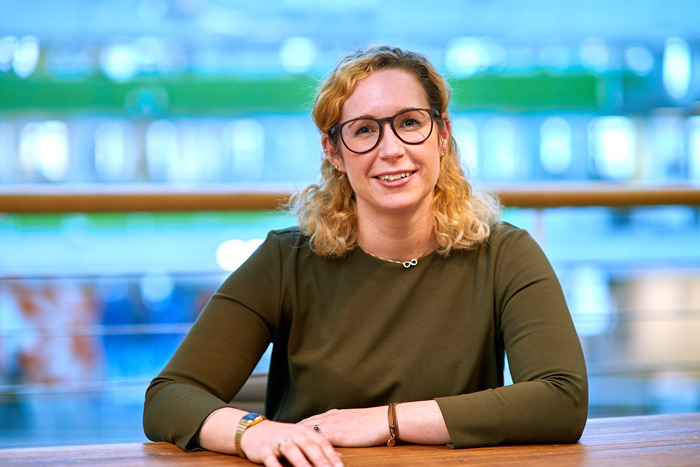 In this way, we not only avoid unnecessary inspections, but are always one step ahead thanks to needs-based cleaning’, says Christiane Doms, Site Manager at Sodexo. Head of Cleaning & Infrastructure, Sodexo.